The virtuoso string band Punch Brothers have just announced a new round of December tour dates in support of their latest album The Phosphorescent Blues and they'll return to the Triangle. The group will play the Carolina Theatre in Durham on Thursday, December 17. Anais Mitchell will open. Tickets will go on sale at 10 a.m. on Friday, September 18, via the venue box office and Ticketmaster for $37 to $78.50. The venue presale began today, September 16, via Ticketmaster with the code BLUES. 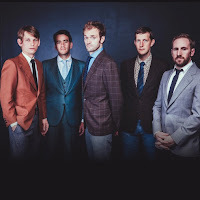 Check out Punch Brothers performing the songs "Me Oh My" and "Boll Weevil" from the new album for the Bluegrass Situation below.